Not really sure what this sub-category is going to list. It’s got a bit of everything (health, sickness, death, sleeping, medicine, inventions) and some memes and even a joke or two. Did you have braces growing up (or as an adult)? Did you hate them or tolerate them? Were you happy with the results when they were taken off? I had some kind of braces as a kid, but I know we never completed the process but I don’t recall why? (I didn’t care? Money? It helped some?) But as I got older my top front teeth still stuck out a little and I ended up with my front bottom teeth jammed in together, imagine five teeth jammed in the space of four with a few bing sideways to make them fit. It really didn’t look as bad as it sounds. They pulled out one of the lower front teeth and put on some braces to shift the others around, I’d have to go in every so ofter to get them to tighten them to shift the teeth even more. The first day I absolutely hated them, I remember being in tears, my mouth and lips ware all scraped up, it was stressful and painful. Plus, I was really hungry!. I remember my girlfriend Jennifer making me some soup that night (I’m not 100% sure she was still my girlfriend at the time or not, but she still took care of me), I really don’t recall a whole lot of kissing during the time I had them on. I’d have gone back the next day and had them removed if it wasn’t for the fact I”d had a tooth pulled and there would be a huge gap. It made me talk funny at first but that got eventually got bette. But shortly after getting them I ended up having a presentation at “The Governor’s Education Summit” (or something like that), I put all sorts of wax on them and some kind of numbing medicine and just talked and ignored the pain (everything was scraping my lips and cheeks). I did fine, but I certainly paid for it for the next few days with extra scrapes and swelling inside my mouth. Not only did I have to keep going in for adjustments, I kept chewing some of the parts off the braces, so I was constantly going in for repairs. Eventually it just got to the point where I’d call and just say I was on my way and they’d squeeze me in. I really don’t recall how long I had them on, less than a year I think. Once I got them off, they looked perfect. The bottom eeth had all moved over and had filled in the spot where the tooth had been removed was. But then a day or two later I could see the teeth were shifting around, so I panicked and went back in and he put in a permanent wire retainer across the back of my front teeth. He also said something like “I was afraid something like that might happen” and I was pretty upset about that, why didn’t he just put the wire in the first place?!? The teeth had already shifted and the damage was done, they looked okay, but they had looked perfect. I was pretty annoyed about this. So the other part is: Since my bottom teeth weren’t jumbled around, it gave my top teeth some room to move around and they look way better too. This was unexpected and they started looking great too. I mentioned it at the dentist and they disagreed with me, that doing my bottom teeth did not fix my top teeth. I had them go did my original molds out of storage (wherever they keep them) and one they saw how much my top teeth had shifted, pretty much all the staff came into my room to see the change. Speaking of kissing: the retainer is still in there. No one has ever noticed it (or at least they haven’t asked) and when I’ve mentioned something about it, most people don’t even believe I have something in there. And I’ve never had any problems with it, I thought it’d pop off at some time. I’m not even sure if it’s necessary anymore. It’s still a hassle to floss around, but otherwise not too much of an annoyance. This is from this week’s Friday Question. Will Farrell and friends speak out to help insurance companies. I like Will Ferrell when he’s not running around with his hair on fire (or other stupid stuff). I’ve generally had pretty great health insurance. But I’ve been bothered that so many people have no insurance. This is a simplification of the benefits of socialized health ‘insurance’. Here’s the direct link to it YouTube. Here’s the thing: I think that some kind of socialized health will probably personally affect me negatively. I think that companies that offer great insurance will cut back a bit and it’ll cost me more out of pocket either at work or in my taxes (even if they don’t cut back, it’ll cost me in my taxes). But for more people to have better health care I’m willing to lose some of mine. * Disclaimer: This is my view-point. I’m not very political. I’m (mostly) just sharing this cartoon and titled the post the same as the video. But feel free to offer your 2 cents on the video. So I just found a new video podcast called TMI Weekly, three women (life, tech, style) just doing a talk show type show. I watched about 5 episodes and I thought they were entertaining and informational. I actually found this because I saw it in the TiVo somewhere and all I had to do was click and I was subscribed on my TiVo. I’m mentioning two non-similar episodes, both embedded below. One is the CES episode which held my interest and even the non-tech women seemed to have a blast. Visit their site for the CES 2009 episode. The other episode was dealing with drinking (eating?) a lot of juices. Way more than I think I could handle. But they made it sound appealing. Visit their site for the Got Juice? episode. I hope everything turns out okay; he can’t be too happy that he’s needed to do this, doesn’t seem like that kind of guy (and I’m thinking he can’t be well if he’s doing this). Two, not having him in charge of Apple will shake things up a bit in the world (rumors do that enough as it is) for at least a few days. Semi-Sidebar: I was going to make a comment like “and their stock didn’t do to good today, I wonder what time this was made public” but they did a heck of a lot better than Dell or Palm. It doesn’t look like the market as a whole did too good and Apple’s not that far off the curve. Friday update – There is a nice “Get Well Steve Jobs” cartoon on Joy of Tech. Friday update 2 – The Telegraph.co.uk has a health timeline for Steve Jobs, just click and take a peek at the pictures (the 6 mugshots at the top). I know I should stop drinking bottled water, but I can’t. It’s too convenient to just grab a bottle on the go. It’s generally less than 17 cents a bottle when I purchase a case (this week it’s way on sale for 11.5 cents a bottle for an odd sized case of 35 at Meijer). I keep a case by the car in the garage and I take grab one to go all the time. I generally refill it as the day goes on. It’s just too easy to grab it and go; if I make it more inconvenient I might end up drinking less water and I probably don’t drink enough as it is (I used to hate drinking water). And yes, I do understand that much of the bottled water is tap water. Why am I talking about this today? Because I just read 10 Reasons To Stop Drinking Bottled Water over at The Good Human and I’m feeling a little guilty. The two statistics that really blew my mind were that it can take nearly 7 times the amount of water in the bottle to actually make the bottle itself and that on a weekly basis, 37,800 18-wheelers are driving around the country delivering water. I will mention that at home I do drink tap water and while I prefer to run it through the Britta Filter first, it’s not a requirement. I do not open bottled water to drink in the house and I’m perfectly fine drinking non-filted ice from my freezer (hmm, I wonder if there is a filter on the freezer that needs changing?). I just don’t see me washing out some kind of travel bottle to reuse over and over. If I drink two plastic bottles a day (and that would be a lot) we’re only talking about saving $2.50 a week (not counting purchasing and cleaning the reusable bottles and the time); wouldn’t I be better off saving a gallon of gas or two? 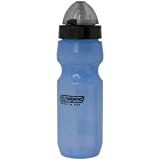 I see me needing to get out of the house and wanting some water and the bottle isn’t clean or full or the Britta pitcher is empty or some other barrier stopping me; a few times a week I’d probably have to skip it and have to stop somewhere and buy a bottle for $1.50 which is counter productive. Maybe if I had 3 or 4 refillable bottles? Where does all the snot come from?!? Been getting more and more sick the last few days, but (most importantly) made it through most of the holidays. The coughing got worse throughout Christmas day but the ultra-bad congestion didn’t start until nighttime and hasn’t stopped since. 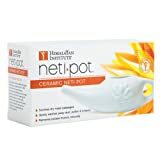 >I’ve used my netty pot over and over; more times than I’ve ever used it in a day but it just won’t clean it all out (I use it all the time and I think it helps with my allergies and getting sick). I’d like to take a sleeping pill to help me sleep but I’m afraid I’ll drown/suffocate in all the mucus. But other than the pounding headache, it’s really not that awful. It’s not too bad when I sit up, which is why I’m typing and not sleeping. I can eat and I’m semi-hungry so those are good things. I just don’t understand where all the snot comes from! I found the medicine that I purchased at the farmacia the other day in San Jose that I couldn’t find later. I really have no idea why I put them where I found them, it was definitely a stupid spot. The powder is similar but the pills are different (I guess they could be the same). Although, if I had remembered, I’m sure be have been thinking it was an excellent spot. I think it was the water in something I ate or drank, I don’t drink the water or take ice, but there are vegetables and juices and all sorts of stuff with water. It could have been the bottle of water I purchased from a street vendor on Thursday, the cellophane on the bottle seemed a little loose but the cap seemed sealed but it had crossed my mind enough to check and it seemed fine (but it’s still in my head). Feel free to skip the rest of this blog post, I avoid getting graphic but it does have a bit on my experience with the health care here in Costa Rica. Let’s just say Saturday morning I made a few too many trips to the restroom that I went to the farmacia before I left San Jose. I purchased some pills and some electrolyte mixture to add to water. Then I headed out to Samara still feeling lousy. When I stopped for lunch I couldn’t find the medicine anywhere but then I got to my hotel I tore everything apart and still couldn’t find the medicine. And, of course, all the pharmacies were closed by then. The hospital in Nicoya was about what I expected not much of a building, no Air Conditioning (fortunately it had been raining and was slightly cool) and they said the Doctor’s did not speak English. I checked in and sat down in the crowd. I starting translating words to Spanish so it’d go faster when I saw the Doctor. I expected to be waiting for hours but I’d say it was only about twenty minutes. The Doctor said he didn’t know English but between what I wrote down and what he knew, we only had to look up a few words. He sent me for an IV and some tests; the IV was really a huge syringe and it as at least an inch-and-a-quarter around and five inches long. It wasn’t too bad but it made me a little dizzy, which they didn’t want to understand as they’re trying to move me to the next room (when I plopped on the a chair and stopped, I think they got the hint). All of these things had a very short wait except for waiting for the test results. The test results were at least two hours. Then waiting for the Doctor took a while which would have been fine if I could have sat down and not queued up where they had us. He prescribed what I assume to be a similar electrolyte mixture and some pills (more for the stomach pain I believe). Total time four maybe four-and-a-half hours. So, I left there and headed towards the main highway, I would have sworn there was an “American Hotel” that I was planning to splurge for but I couldn’t find it. So I drove all the way to Tamarindo (second largest city?) and grabbed the second hotel I tried (the first one was full). I was still sick for about a day and a half, but I was slowly getting better. Part of the problem was that I wasn’t eating either, I normally graze and eat 4-5 times a day but I was averaging less than I meal a day. Monday night, I forced myself out for a second meal hoping only for some soup and a sandwich, and while I’d normally avoid an American chain while I vacation, the Subway fit that requirement for me. I took it back to my room and the soup was so good and I nibbled on the sandwich over the next few hours. From then on I’ve only been feeling better. Sorry, I’ve been off-line lately, I haven’t had ‘net access or felt well enough to do it (I’ve been really really sick the last few days), but I’m feeling much much better today. I’ll give you the scoop on my experiences with the CR medical system later. This is looking like one of the top weather days this trip so far! I think I just need to take it easy for a little bit still. So I’ll drive into town and pick up a few things and then head down and check out the beach. So I was feeling pretty great while I traveled this trip. The allergies weren’t too bad (even with all the extra dust and strange plants) and I slept great but never long enough (even the nights when I had my own room). I didn’t have any headaches. For the previous few weeks I’ve been eating Ibuprofin like they were M & M’s, I actually had to cut myself off since I was starting to bruise to easily (disturbs the platelets?). But I didn’t take a single one while I was on this trip (even after hiking and taking a little spill). The only time I considered it when banged my forehead last night. My neck/back hasn’t bothered me much at all, even after sleeping on all sorts of strange beds, flying thousands of miles and carrying all sorts of luggage and other junk with me. And these cRaZy roads and all the bouncing around on them and I still feel pretty good. So what is it about home that causes these headaches and neck/back pain? Any thoughts? Haven’t blogged much, since not much has been happening around here. I’ve been sick for the last two weeks (missed a week of work) with bronchitis with a nasty couch and even nastier congestion. I feel like I’ve been eating lots, but I’m down about 15 pounds from where I’m usually at. Life’s pretty good otherwise, Work hasn’t been too cRaZy so I’ve not fallen too far behind. And I’ve got my next Costa Rica trip to look forward too next month. Why I hate Medco Health Mail-in prescriptions. I’ve been very fortunate and pay virtually nothing for my prescriptions, at a local store I pay $5 a month and with Medco I pay $2 (total) for 3 months. Now that’s my current insurance plan and not Medco so it’s not a plus just for them (and my co-pay is about to go way up). I can call with a drug question at any time and they can get an answer for me (I’m not sure if they’re 24 hours, but I know I’ve called close to midnight on a holiday before). I can renew on-line and see my history of everything they’ve mailed to me for a long while. They give me postage paid envelopes to mail in prescriptions. They called me the other day and left a message so I had to call back and they had to transfer me to two other people to figure out why they called me (plus they disconnected me once). Here’s what it is: the off brand of something works better for me ansod the doctor wrote it that way, they were actually calling me to tell me that they’re shipping me what I ordered and next time I should check to see if they have it in stock. I’m sure I’ve been using this for several years and had it written the same way every time and it’s never wasted 20 minutes of my life on the phone before. Besides the doctor wrote it for the drug I want (DAW=dispense as written), they shouldn’t ship me anything but that, I shouldn’t need to call them for them to ship me the correct drug, right? Big huge waste of my time and theirs. Most calls that I’ve had to return to them over the years go that way, it takes them a whole to figure out why I’m calling (and I have the ref number they gave me) and it just takes forever and it’s usually on something odd. They don’t handle multiple addresses very well considering they do ship out drugs that need to be kept cold (in the middle of summer I ship that stuff to work). So you have to change the computer address when you have them refill that medicine so it goes where you want. In the mean time if you mail in a prescription with the other address pre-printed on the form and circle it in red and write in big letters “ship here” they still call you to make sure that’s where you want it shipped (duh!). And then all paper-work notifications go to the work address since you had to change your address to that location. They need a way for you “billing”/paperwork address to be a different address. When you go on-line in February and they list drugs they can be refilled in March if you click “refill now” for many of them you will get mailings or phone calls (I can’t figure out how they choose) that complain that “you filled them too soon” even though they told you to! Today, I got a phone call for some prescriptions that the doctor sent in electronically on Monday and they’ll ship on March 3rd. For one thing if I needed it today, I wouldn’t have mailed it in, but why did it take them until Saturday to not know they won’t ship it until next week? The other big annoyance is everything they leave you a message about is useless since none of it mentions the drug name. It’s all some prescription number which means nothing to me. I understand they don’t want to violate HIPA, but it’s simple enough to check the file and see that it says: this guy wants us to leave him his information in a message this would be convenient to him and not any kind of violation since he requests it. This seems like a pretty simple process for them to impalement for the sake of customer service (it’d be like locking or unlocking your domain name). They do e-mail me some information (generally on shipment) but it’s also lacking the drug name, which is silly since I assume most of the population (not me) uses the same password for their e-mail as they do for the medical website it’s probably not protecting anything. But I don’t understand why they just don’t mail me everything. I’ve been lousy since last Tuesday and I’ve been home yesterday and today. Yesterday and Sunday were the worst, I’m way congested in my lungs which cuts into my sleep time, drugs help when I’m sick but sleep and Creamy Tomato Soup help the most. The doctor thinks it’s something viral but still kept me on the anti-biotics she game me last week.. I wish health was more of a science (I’m serious) and we knew more about it. Like, if I had stayed home on Friday (when the cough had started getting really bad) would I have gotten better over the weekend? Or would that have been minor on my road to recovery? Or did I need to get worse to get better? Back to the snow: It’s really thick on trees and bushes and railings. It’s times like this the I wish I lived with a view and I could sit by the fireplace and watch the snow fall over the landscape (and not have the “Palace Liquor & Deli” be my landscape). I went to the OMT (kind of the opposite of a chiropractor, they do the muscles not the bones, Osteopathic Musculature/Manipulative Therapy?) twice this week but that’s not really fixing it. The drugs that really work knock me out, so that’s not a great option; I bet I’ve averaged 18 hours a day the last few days. So today I went to my “regular” Doctor’s office, but she wasn’t in (they rotate on Saturdays) but they guy who checked out took care of me, a few shots into the muscle seem to be helping. Burnt My Lip!!! 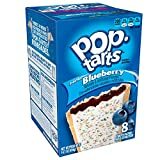 Pop Tarts are Evil! Do you think I have a case against Kellogg’s? Or maybe against my parents/teachers for not teaching me common sense? This is the story – I’m finally getting copies of the insurance bills for a big test (had to be unconscious for the test, I think that’s the only reason it was in the hospital) and so far they total up to about $3,300! and I haven’t paid a penny. Please note that this doesn’t even include my initial visit to my doctor and the two visits to the specialist (which all included tests) and each of the visits each included a prescription or two (I’ve probably paid less than $75 for all that). That’s a lot of money, and if I didn’t have insurance I’d be happy to spend money on getting better but so far I don’t think anything has helped (maybe I’m a little better since this started in late April but I might just be getting used to it or maybe I’d just be getting better anyways) and I don’t think the tests dound anything. I’m sure the costs would be a bit less if I were paying for it out my own pocket, but still…I can’t imagine not having great insurance let alone not having insurance at all. We’ve got great unions in Michigan and probably even more so in the Detroit area so that’s always benefitted me (medical and dental benefits). I just can’t imagine not having it. I’ve always been very fortunate with having great health insurance and they very few times I haven’t, I’ve not had to really use it. I don’t know the solution for health in this country but I think we need to concentrate more of the USofA resources on health. People should be able to count on good health, education and food; I think these items qualify for the whole “life, liberty and happiness” thing (I’ll clarify these points if I ever run for office). Speaking of insurance for everyone, in Michigan we’ve got a pretty decent Children’s Health Insurance program called MiChild for only $10 a month for your child. You have to be a low income family and I’m not sure what the requirement/formula is but I thought I’d mention it since I was mentioning insurance (I guess it’s only good if you actually qualify). If you have kids and no insurance in Michigan please check out this program and apply for your kids. They have a dental program that can be signed up for too. I guess I really don’t have much else to say other than I’m very fortunate in this case and very thankful for great insurance (and thankful it’s not a bigger problem). It’s not that I want them to find something wrong, it’s just that if there is something wrong I want them to find it sooner. So I went back to the doctor today to see what the verdict was today. And after a very long wait (I was about to go back up to the counter to remind them I was there, they were shutting down for lunch and I was the only one left not waiting for someone to come out) I got to see him. Unfortunately they didn’t have an answer for me. They can see something that looks like some kind of irritation on the bone, something that looked rough or worn, but nothing that looked broke. So they see some kind of unknown problem. Of course, this doesn’t help me any…They don’t really want to cut into me to look because some muscles and vessels are attached to this bone and there is always the possibility of risk when operating on that. So they don’t want to do that just for some kind of fishing expedition. So “let’s run some blood tests” and see if we see something odd that might be causing/related it. It was a lot of tests, but not many tubes so I was okay with that. But I’m confident they wont find anything in my blood. Of all the quarts I’ve been drained of in my life, I can’t think of anything they’ve ever found. I really thought as a result of the bone scan they’d be able to fix this and I’m disappointed that while it was obvious there was something on the scan it’s not something (at this point) that they can fix. BTW, the pot I’m talking about is a little piece of bone protruding from the palm of the hand, but I can’t recall the name right now. So I’m at the pace to get a bone scan (actually this was last week, I’m just finishing up this post now). I think I mentioned I’ve had some on and off problems with my hand/wrist, I had a CAT scan the other week (nothing to see) and now I’m up to a bone scan. So this morning I had some radioactive “dye” (something that attaches to phosphates I believe she said) injected and they stuck me in some machine that watched me for a few minutes to see how it flows through my body. Then I had to come back in 3 hours to get more images taken, not so bad except the center is in Ypsi and I work 30 miles away (but I’ve gotten some e-mail done, an order done and picked up some supplies for work at Target ). Another coincidence (making it a weird bigger coincidence) – the afternoon Nuclear Medicine person was also named Kelly!! Medicine – While I was at the farmicia (drug store) I saw a family come in to get a single (1) Allegra tablet (the are actually individually wrapped). Unfortunately, I didn’t get a chance to see how much one was. With my insurance, which I’m very thankful for, I get a three month supply for only $2 (via mail-order). I don’t have any idea what they paid, but I’m sure it was more than two-and-a-half cents, but maybe not, you never know. I’m assuming they cost enough to where you don’t keep a jar of them at home. Coleman cooler – Here’s what we would consider to be a normal sized Coleman cooler (one of the larger ones, not the small ones that just hold a 5 pack). It’s about $63, that’s a lot of money here. We talked to a waiter last night (at a the nicest restaurant I’ve ever been to in Costa Rica) and he makes about $30 a day including tips, now remember things cost less here but that’s still two days wages here. At minimum wage it’s probably a 1/2 days wages, and remember that’s minimum wage. Health care – so many of the places are remote it can be hours to a hospital, and that’s only if you have a way to get transportation to where you are when you need the help. I don’t think there’s even one here in Jaco, you probably have to go to Punteranes or San Jose (about 2 hours, maybe a little less). Over 6,000 people die a day (most of them children) from water releated illnesses. These folks have created The LifeStraw, a straw about the size of a small clarinet that can be worn about the neck and weighs about 0.095 Kg (3.3 ounces). It’ll filter 2 liters (half gallon) a day for about a year! And they only cost about $3 each. Over a billion people in the world don’t have safe drinking water! (Drinking salt water will reduce the life expectancy in half). LifeStraw® filters bacteria such as Shigella, Salmonella, Enterrococus, Staphylococcus Aureus and E .Coli. First time users may find it difficult to start sucking. This is because a natural brake on the flow of water has been put into the LifeStraw®, as a controlled flow between 100 ml to 150 ml per minute is needed to get the maximum benefit of the bacteria killing effect. It is expected that continuously drinking saline water through the LifeStraw® would reduce effective life to 350 litres. I spotted this on the New York Times video feed I get on my TiVo. Hiccups are gone (Knock on wood). I really thought I was going to go to some 24 hour clinic last night, it was that bad (some weird burping got mixed into it too). I finally took a variety of stomach medicines (Zantac and Tums) and I really think the Gatorade helped. I was still hiccuping when I went to sleep but I’ve been fine so far this morning. Fortunately they were gone by the time I read Dave’s suggestion from Boing Boing from yesterday’s post (I’m not sure if I was that desperate). Hiccups for almost 24 hours now! HELP! Starting and stopping seems to be completely random. Any thoughts??? Drinking from the far side of the glass (this one always works). Exhaling and drinking the water before inhaling. Drinking a big glass though a few hiccups. A big spoonful of sugar. When I drink that much water, I drink less soda (which is probably good). It makes me need to go to the bathroom more (duh!). I think generally got to sleep earlier (maybe to to lack of caffeine or at least it being washed out of my system). I think I slept better (although I attribute this to the lack of other caffeinated drinks more). My neck/shoulders probably bothered me just as much as normal (I think OMT and Chiropractors recommend lots of water). I have very mild psoriasis (dry flaky skin) which comes and goes and thought the extra water might help, but if anything during that period it’s gotten a little dryer. My stomach seemed more (slightly)sensitive to spicy and junk foods than normal. I think slightly overall, I did feel a little better. Once again it was only 3 weeks and I didn’t expect any miracle in terms of changes. And this wasn’t a double-blind experiment or anything, it was just me drinking lots more water. I didn’t intentionally cut out other drinks but as a result I probably drank less (but I know of some days I drank lots of soda and then I had to force the water down later). Some of the above could be attributed to being tired or stressed from work (it was the start of the school year). So no big results other than the sleeping I’ll be keeping an eye on that. I will continue to drink more out of habit (I already am today), but I won’t be forcing myself to catch up in the evening. I need to cut out caffeine (soda and candy) for one of my items but when I’ve tried in that past it didn’t help much. I still had some sleeping issues and everyone said I was still just as hyper. I’ll try not to look at what I just wrote here until I’m done with the caffeine experiment and see how they match up (although less soda means more water). If I see anything significant I’ll try a no soda with 1/2 gallon (or more?) for 3 or 4 weeks and see how I feel. I do enjoy soda so maybe I can limit it to no more than 32 ounces of soda a day and none after 2 pm or something like that (currently, I try not to have any Coca-Cola after 4 PM or so). So as we all know, metric is going to take the word by storm one of these days). HA! The funny thing is I always thought of it as something that came over here from overseas, but the amount of signage in England that is in miles (and not kilometers) makes me laugh. I always chuckle when I see teachers teaching metric (I work for a school district) since it seems they are telling them the same thing they told me as a kid (and I’m still waiting). Actually it’s bottled water that’s the cause of this post. One of my 101 in 1001 things items is to drink a 1/2 gallon of water a day for three weeks and see if it makes me feel healthier. So I bought water today (it’s on sale at Target ) and the bottles are a 1/2 liter so I needed to figure out how many I needed to drink. Here’s the thing they don’t list it in ounces, they listed it as “1 pint 0.9 ounces” so I had to think if a pint was 16 ounces or not. Why wouldn’t they just list it as 16.9 ounces?!? The real question is why are the bottling companies going along with this? Most people will pretty much pay the same for 16 ounces or 16.9 ounces, right? So it seems like they’re just giving away stuff (water, coke, whatever it might be). Kyra asked these questions on her blog. She actually asked them two different ways: If you had six months and what if everyone had 6 months. If you knew you only had six months to live, and the world was guaranteed to end for you – how would you live? Take it easy, relax, travel and lots more. Would you spend your money, or save it? Spend it. I’d clear out my 403b, 401k and IRAs! Heck, I’d stop probably stop paying my bills. Would you eat healthy/diet, or would you be into the ice cream and chips every day? Exer-what? Actually, I’d be running around so much I probably wouldn’t need any. Would you stay in your current job, or find something else to do? Six months? I’d quit! (I like my job but at that point what’s the point). Would you keep your current friends, or cut the ones who only waste your time? Would you talk to every single person that you consciously make time for? Or cut your loses? Would you stay where you live, or move? I’d stay there but also travel. What things would you stop caring about, that you do now? Bills, upgrading the house (painting, furniture, etc. ), stop saving for car, retirement, etc. I’m single and have no dependents so that really makes the options easier for me than some people. Sure I’d hook Mom up with some of my savings but she’s probably fine without it so that makes this a lot more fun list for me than it might be for some others. I’m not going to go the route if it was six months for everyone, I’d have to assume it’d be a bad place to be (chaos and all). But the new series 3 Moons Over Milford (free at iTunes at this point in time) is kind of a end of the world scenario (the moon breaks into three pieces in a degrading orbit) where it’s not chaos, I’d like to think it’d go that way. http://GarySaid.com/topics/general/health/ generated Tuesday, April 23rd 2019 at 4:51:24 am EDT (in 231 queries in 0.988 seconds).